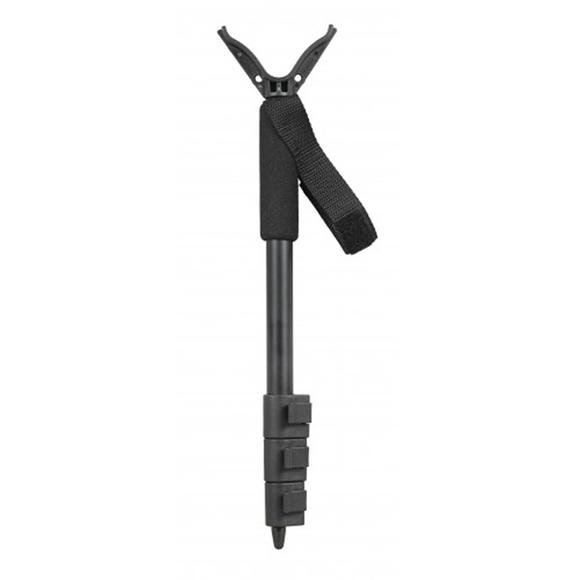 The Allen Co's patented Compact Shooting Stick features an aluminum sectional staff with cam locks, a padded foam grip, and a matte black finish. Adjusts from 14.5" to 34". The Allen Co&apos;s patented Compact Shooting Stick features an aluminum sectional staff with cam locks, a padded foam grip, and a matte black finish. Adjusts from 14.5" to 34". Measurements 2" x 15" x 1", Extends to 34" / Collapses to 14.5"